In the first two weeks of the 2019 spring semester, three finalists for the new Assistant Professor of English presented research to and met with students as part of the search committee’s attempts to finalize their decision. According to acting English Department Chair and head of the search committee Lesley Ginsberg via email, the English department has been searching for a new professor since the spring 2018 semester. After establishing the search criteria in August, the job was advertised through channels such as Inside Higher Ed and the Modern Language Association. Ginsberg said that the job posting was also featured on the CU careers page, and according to the listing found there, an applicant with a doctorate specializing in criticism and theory with additional knowledge of either Victorian British literature or Digital Humanities was being sought out. Ginsberg said that applicants with experience in teaching and an active research agenda would also be a necessary part of the role that requires filling. After the posting had been made available for a couple months, review of the applicants began on Oct. 15. The search committee received over 170 highly qualified applicants. The search committee then proceeded to go through multiple rounds of testing, and Ginsberg explained that their first round of review examined the applicants with the intent of highlighting some of the potential candidates that fit the criteria best. The committee managed to narrow down to 11 applicants to interview after Thanksgiving over the phone. Questions posed to the applicants evaluated their research, teaching methods and philosophy. “We had a meeting to select our top three finalists out of that group. We phoned the finalists and scheduled campus visits to begin in the first two weeks of the spring 2019 semester,” said Ginsberg. The three finalists selected were identified as Matthew S., Claudie M. and Matt H.
These applicants were given a list of the various opportunities they had to connect with the students on campus, as well as to demonstrate their teaching abilities. The two main opportunities included an hour teaching demonstration for students who would then be evaluating the instructors. There was also an option for students to meet potentially new faculty over pizza in the Writing Center and continue to further evaluate finalists. As well as interacting with current UCCS students, Ginsberg said that the finalists also gave a research presentation, to which students were invited to attend the presentation and assess it. “After the third finalist has left campus, the search committee will meet to discuss the strengths and weaknesses of the finalists, and to decide whether or not an offer is warranted,” she said. 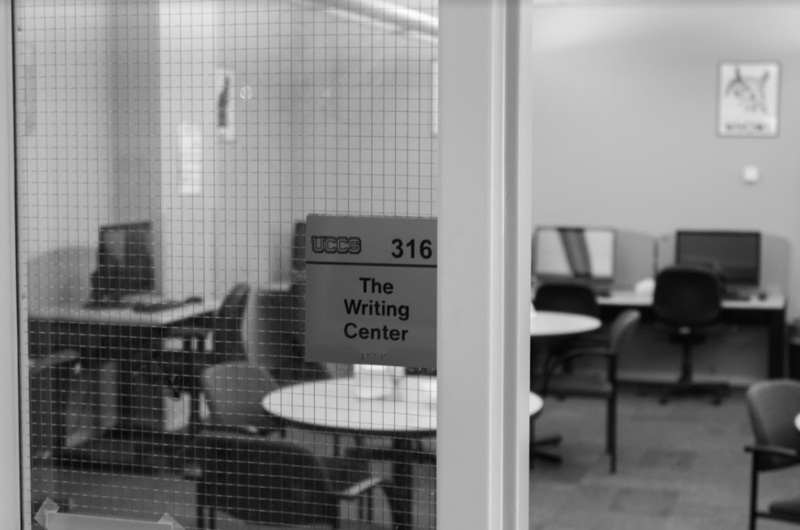 Ginsberg said that though the committee wants to fill the position, they will not necessarily pick one of the three finalists if they feel that the final choice would not be an overall good selection for UCCS’ English Department. Assuming a selection has been made, the acting dean of the College of Letters, Arts, and Sciences will extend the offer to the final candidate. At this point, assuming the candidate accepts, they will likely begin working as soon as August of this year.